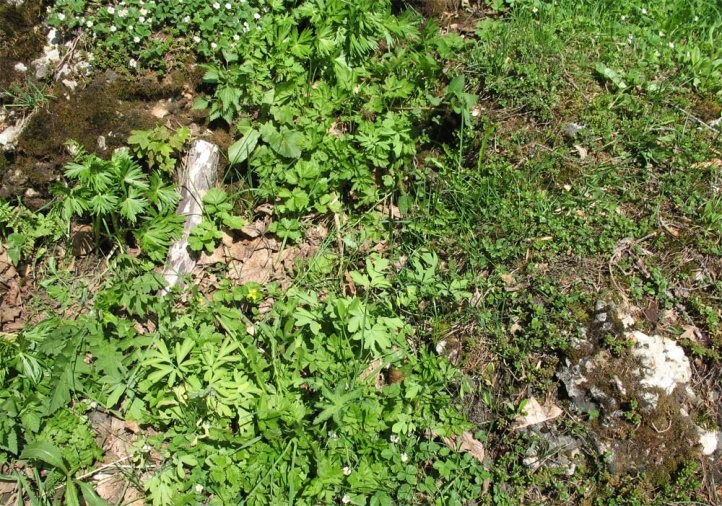 Corydalis species such as especially Corydalis cava and Corydalis intermedia. 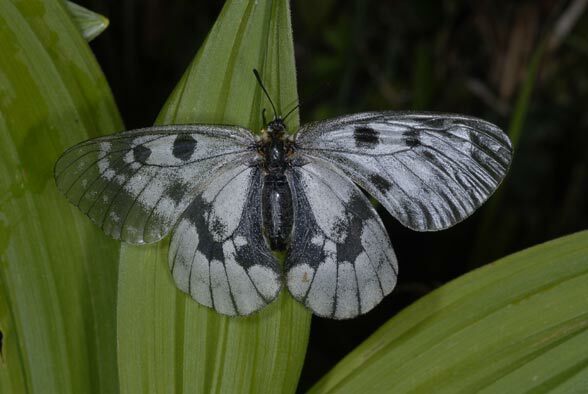 Parnassius mnemosyne inhabits forest gap systems, forest meadows or moist forest margins. 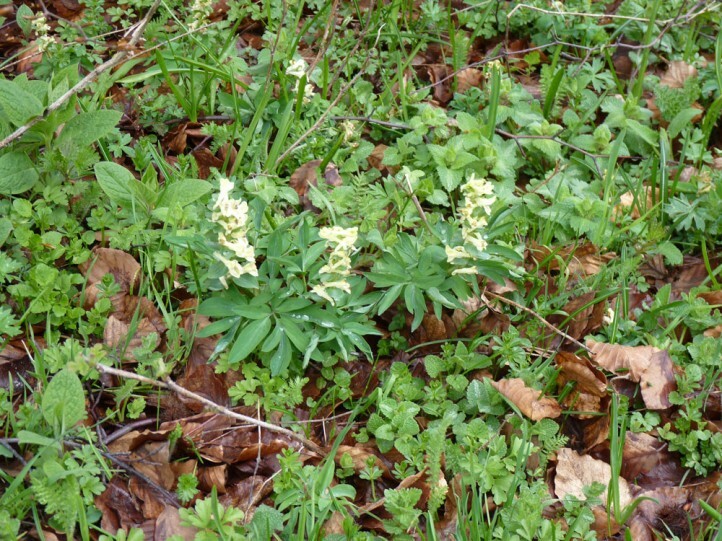 It needs at flight time uncut, flower-rich meadows in contact with open forest edges with Corydalis stocks. 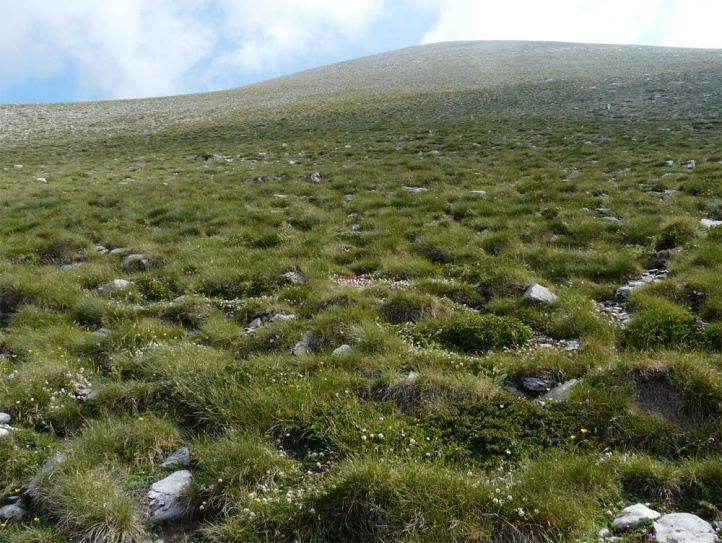 In the Alps and other mountain ranges it also occurs on bumpy pastures with rock piles, boulders or between open dwarf Pinus mugo stocks, so in the Austrian Rätikon in over 1800m above sea level. 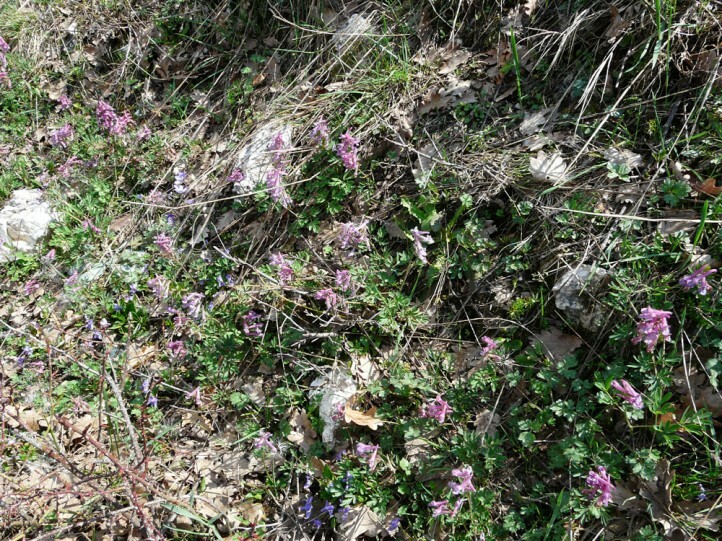 Here the local host plant Corydalis intermedia grows particularly in the edges of rocks and on rock piles. 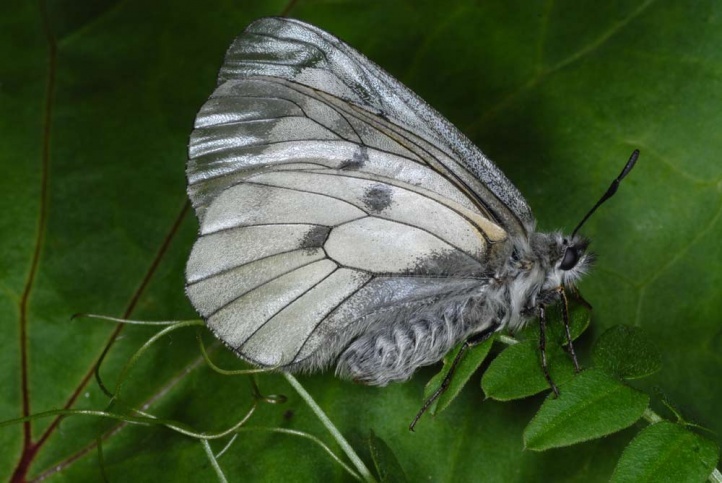 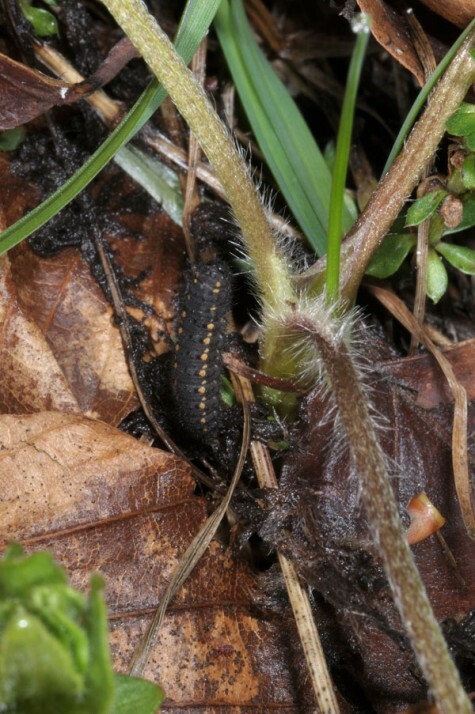 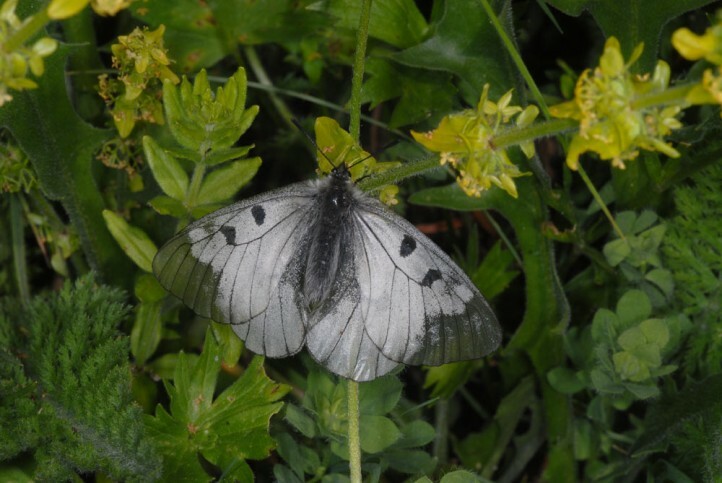 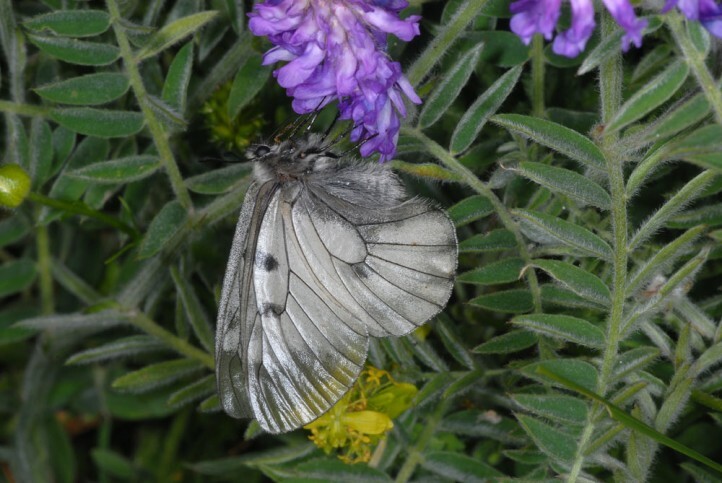 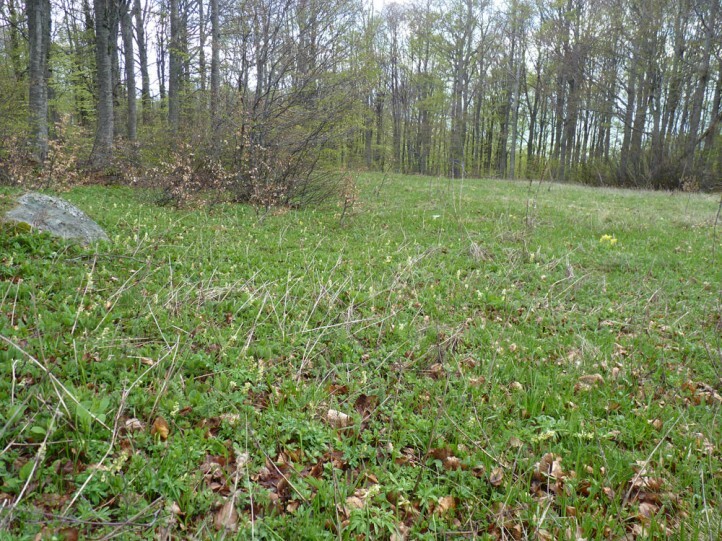 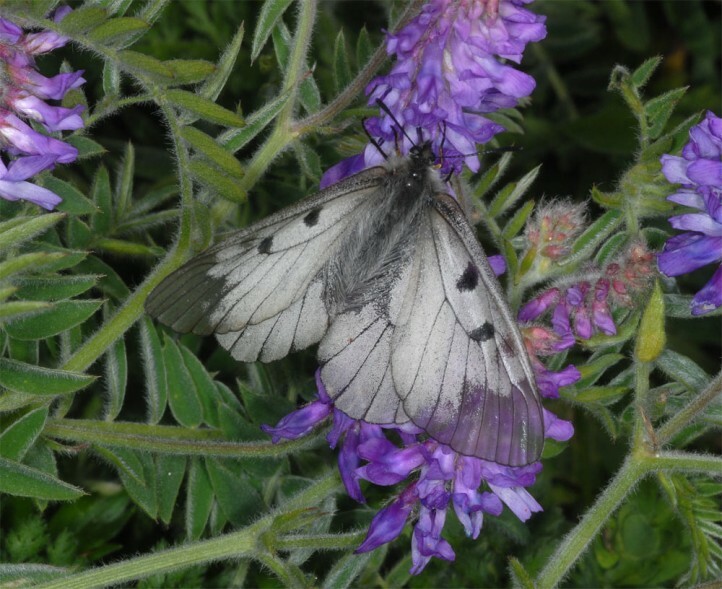 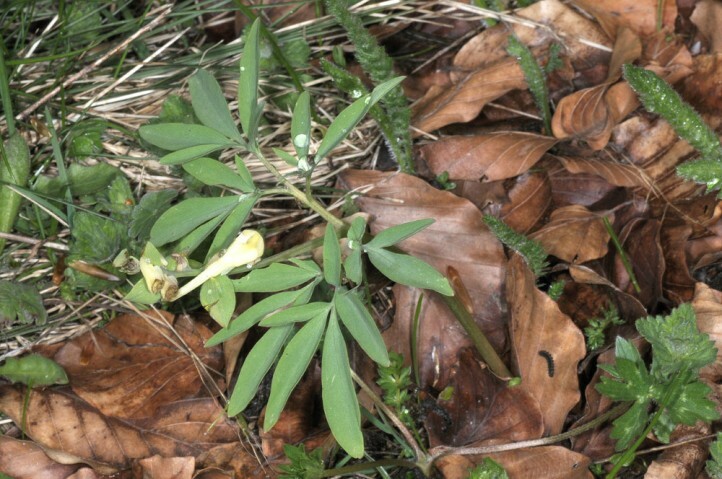 In the Allgäu Alps (Germany) I observe Parnassius mnemosyne since more than 20 years (1988 - 2009) at about 1500m above sea level under a single group of trees with Corydalis cava in a forest gap system. 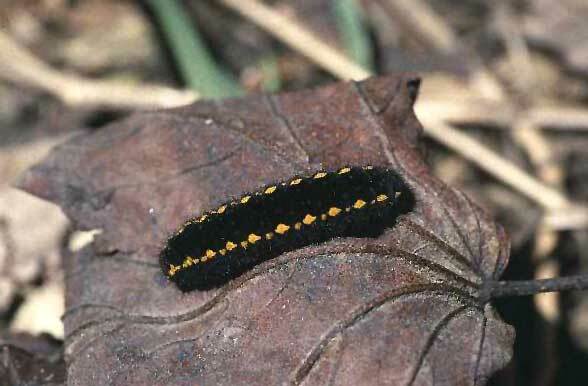 There occur also Boloria thore, Boloria titania and Polyommatus eumedon. 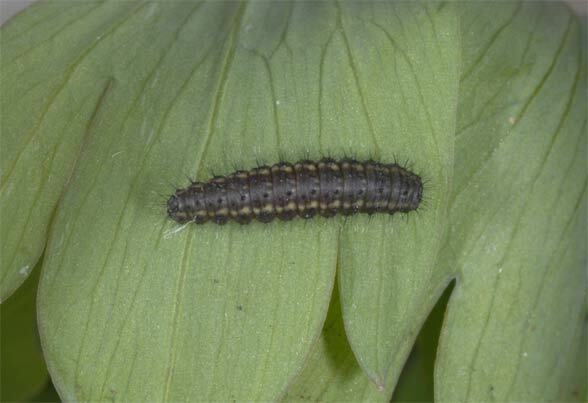 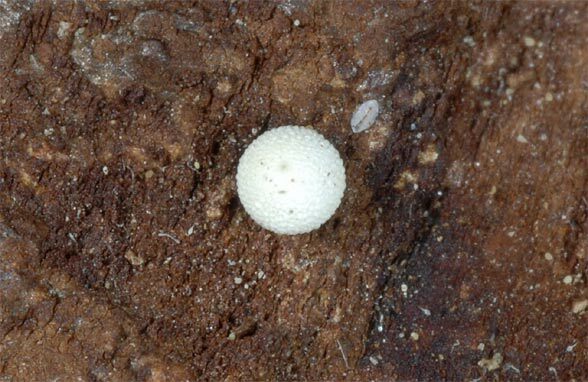 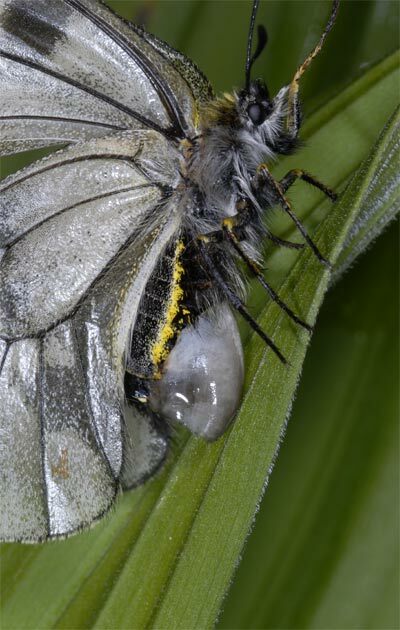 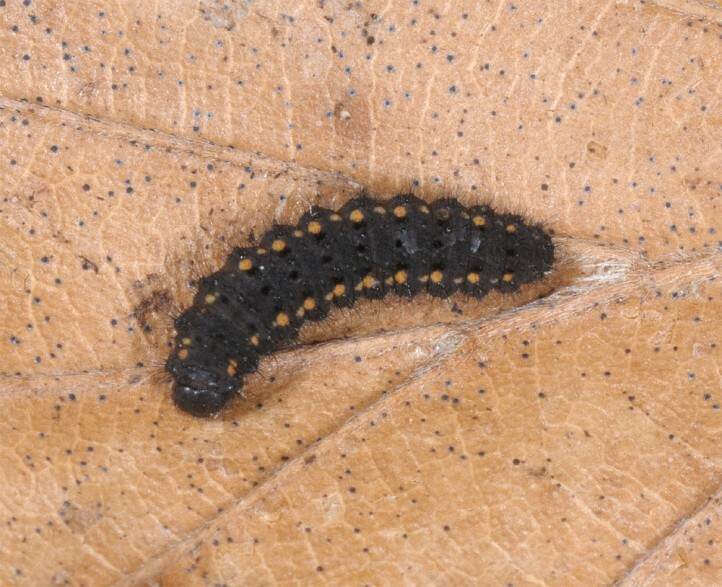 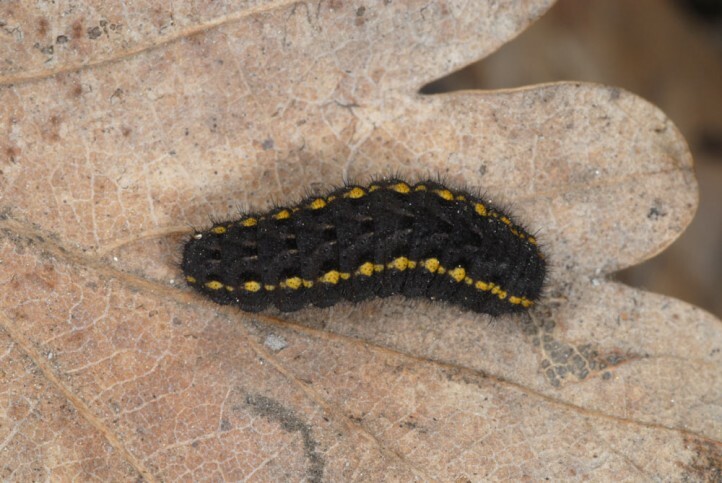 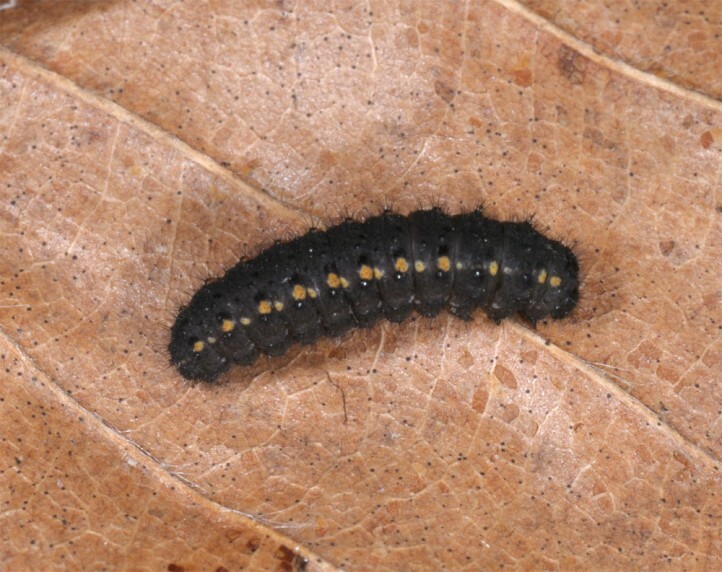 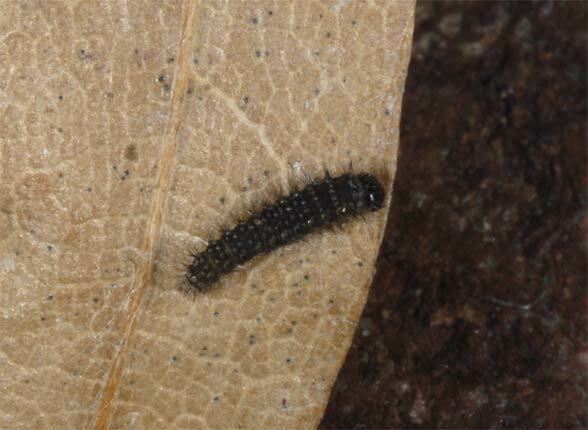 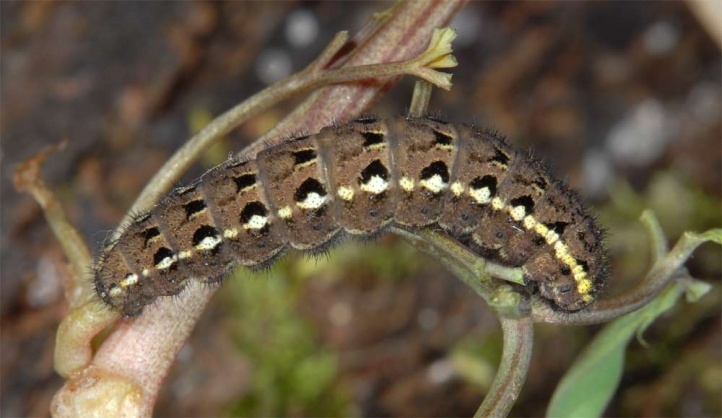 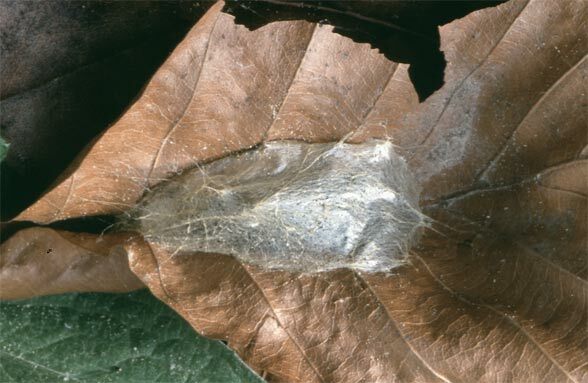 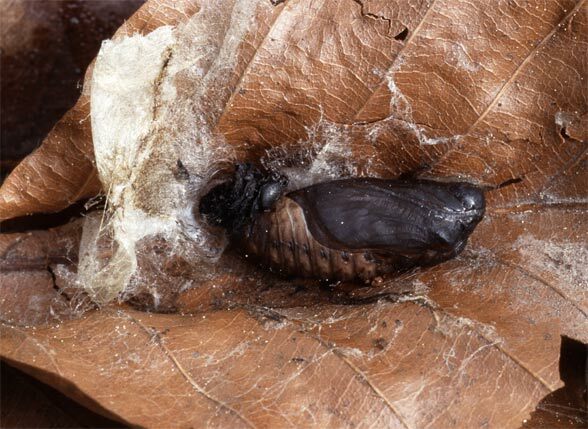 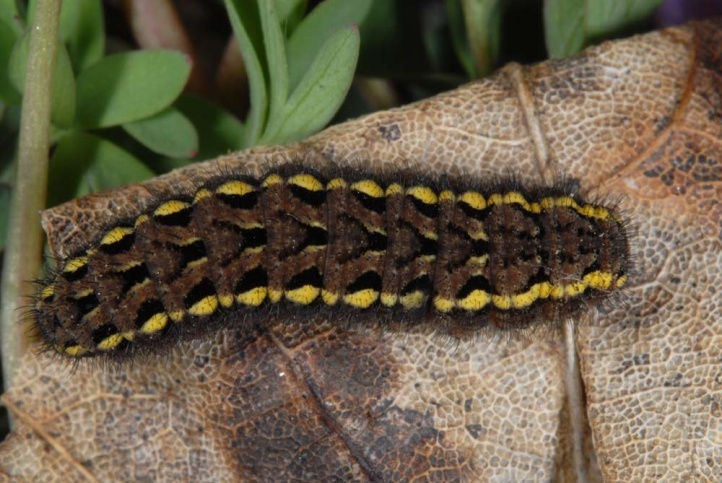 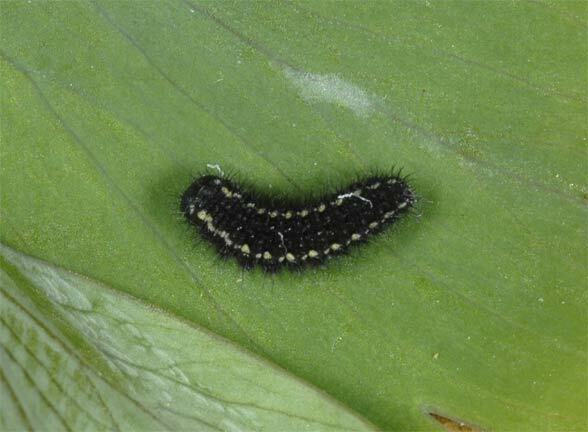 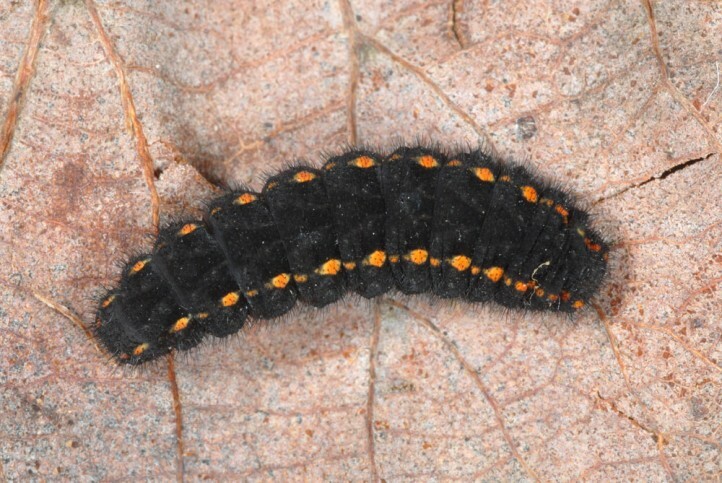 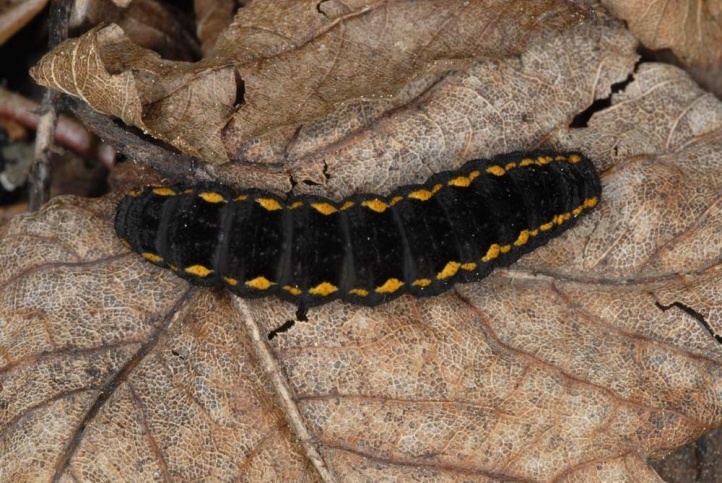 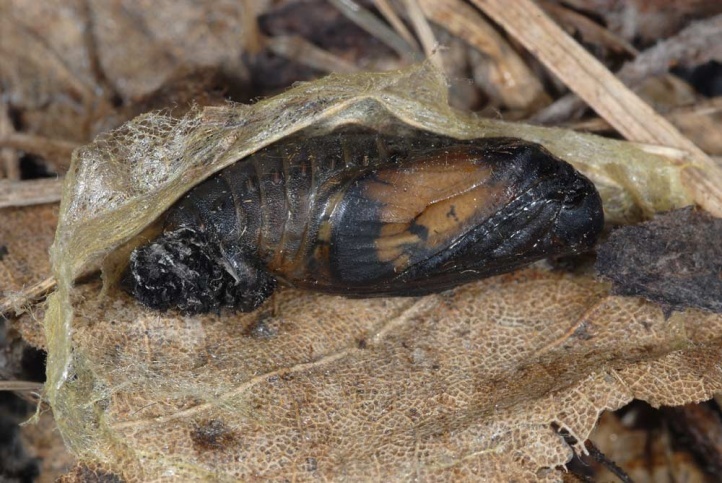 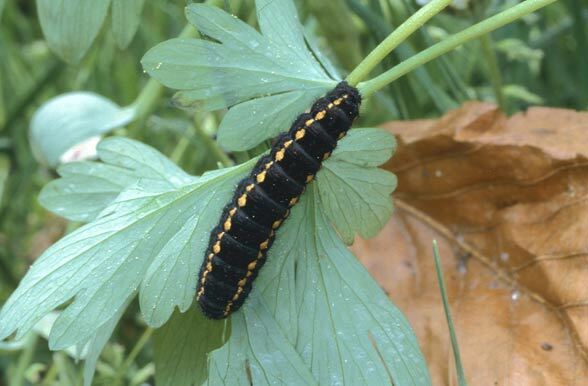 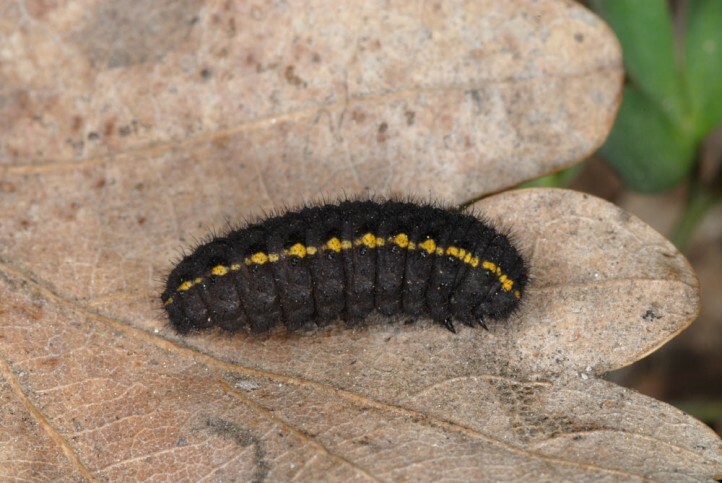 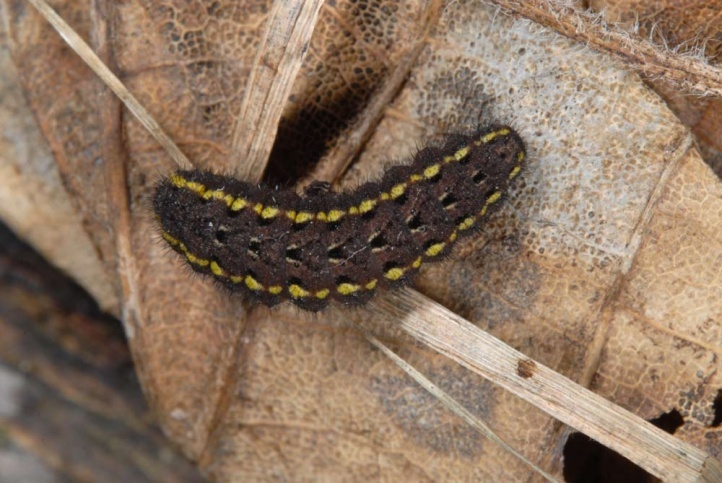 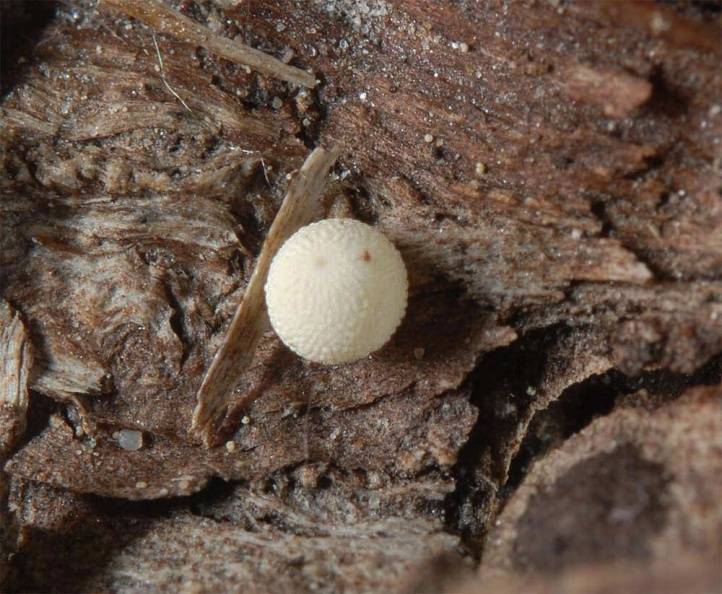 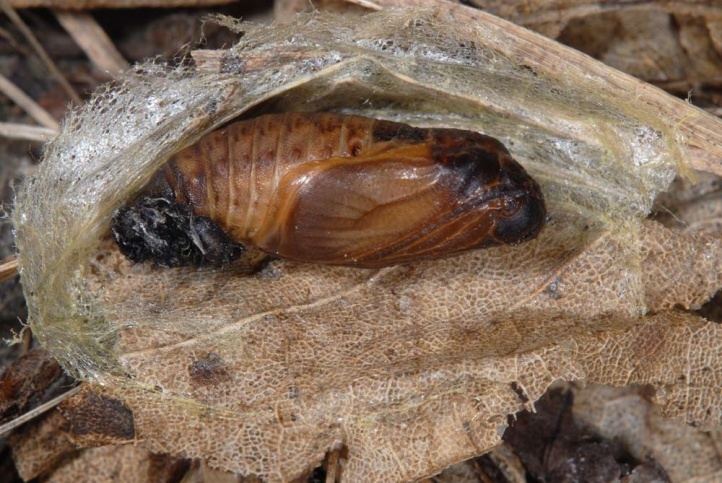 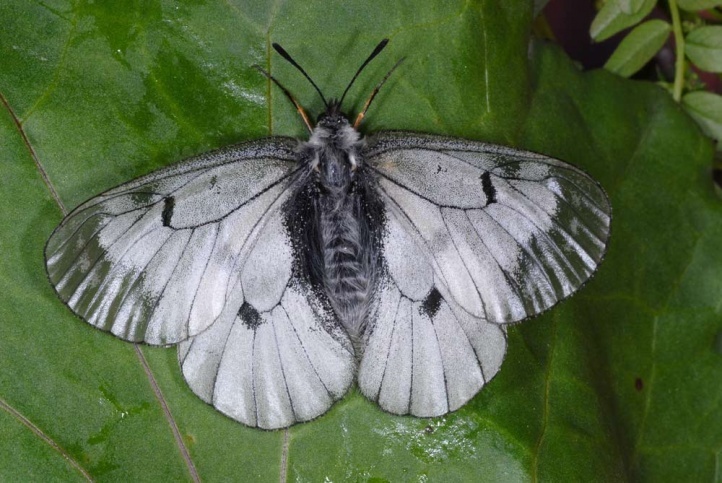 Parnassius mnemosyne hibernates as a caterpillar in the egg and has a rapid development with only three moults since the spring geophyt Corydalis soon dries up. 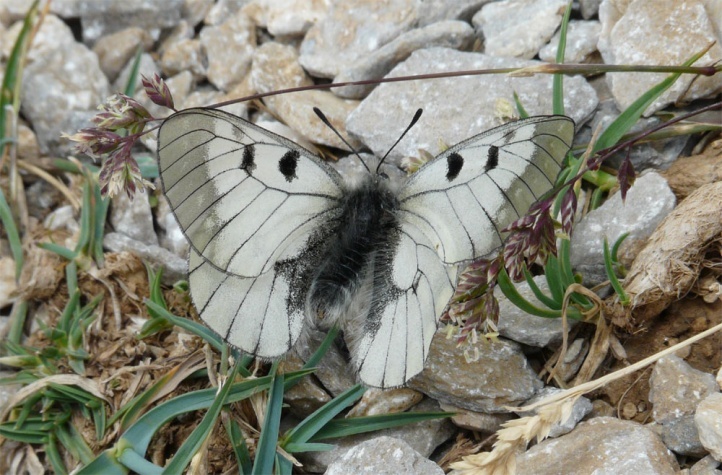 The adults fly from May to July (in the mountains). 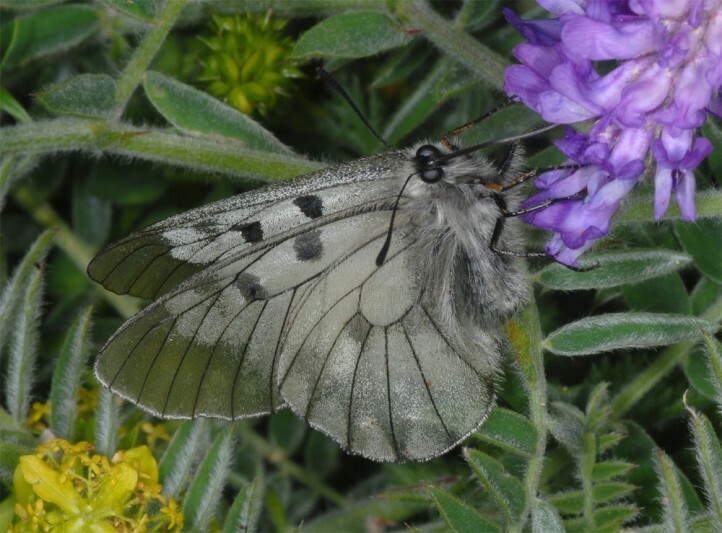 On the Greek Mount Olympus I observed fresh males together with Erebia medusa at 2500m above sea level in mid-July 2010. 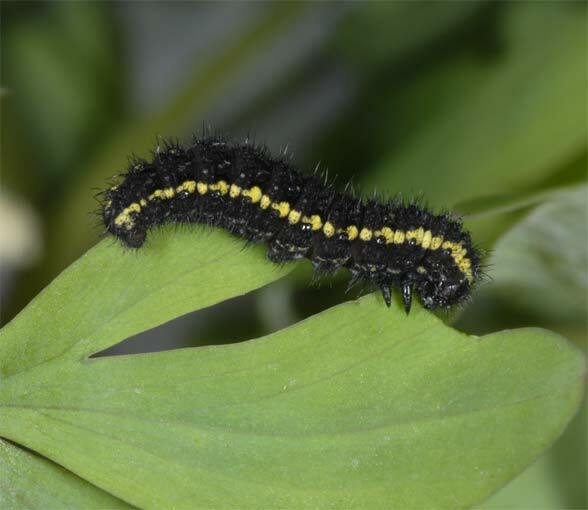 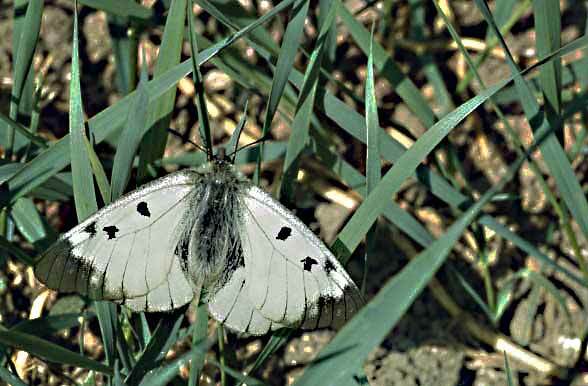 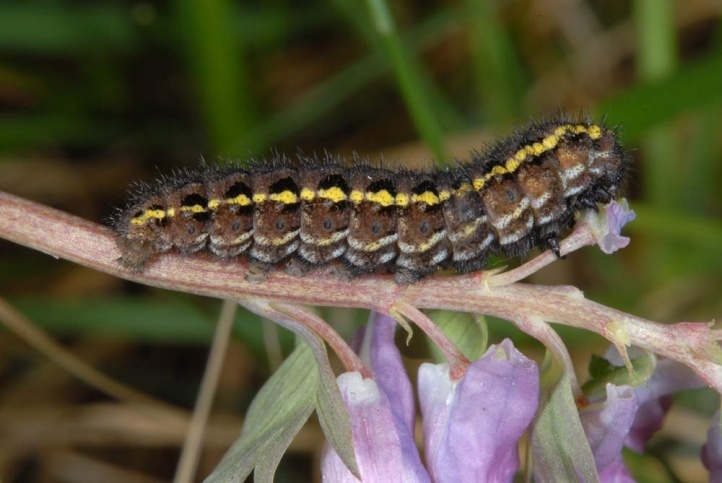 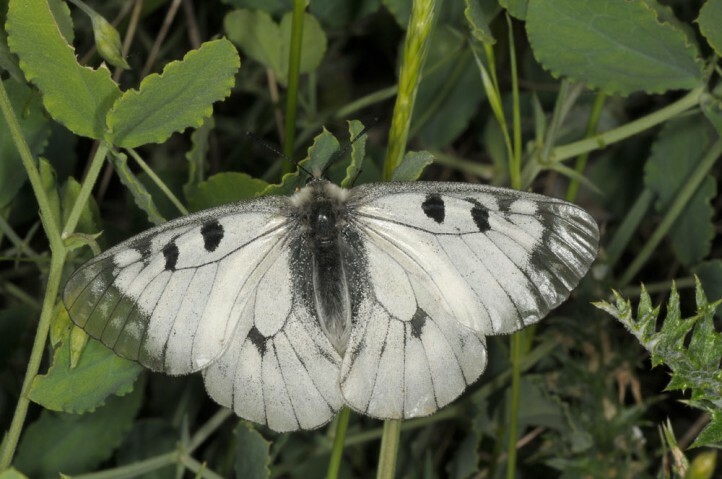 Outside of the higher regions of the Alps Parnassius mnemosyne is threatened with extinction by intense meadow management(fertilization, frequent cutting), drainage and compaction of forest structures (dense afforestation, strict forest edges without steps). 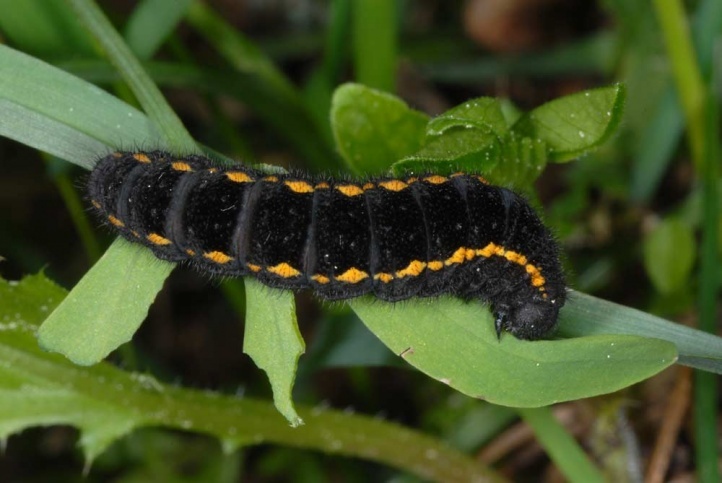 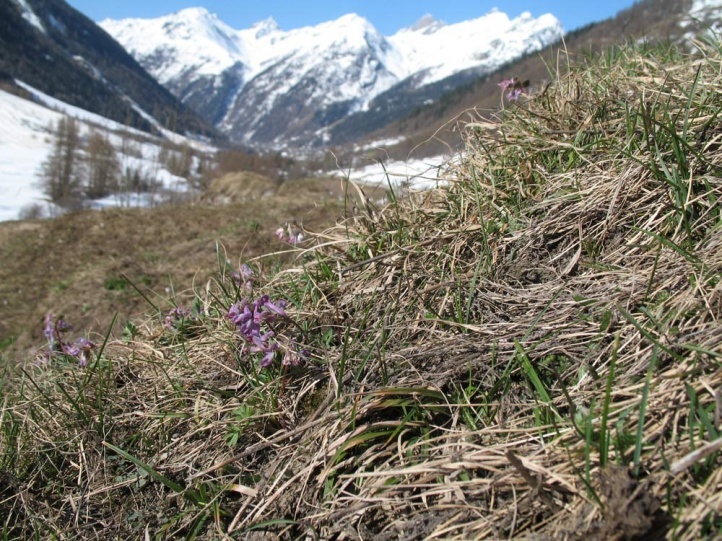 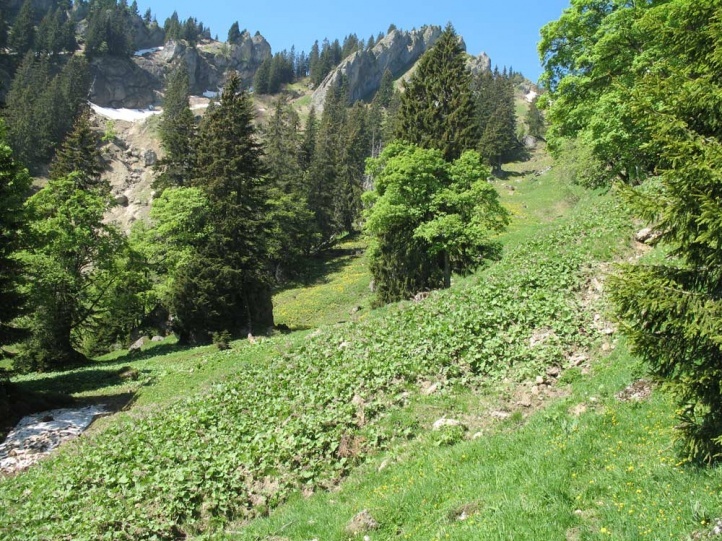 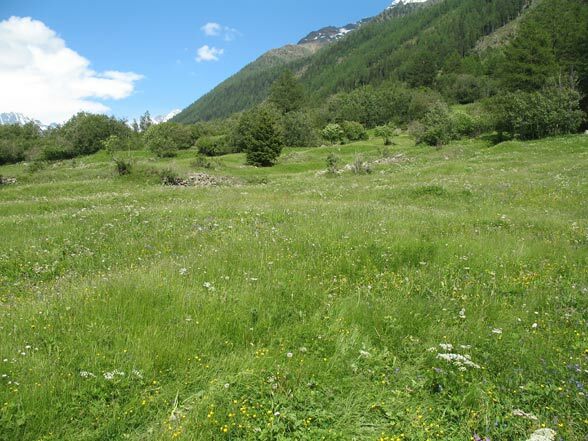 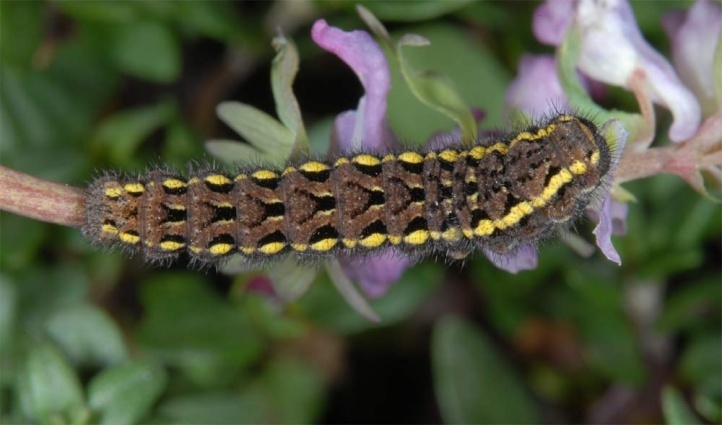 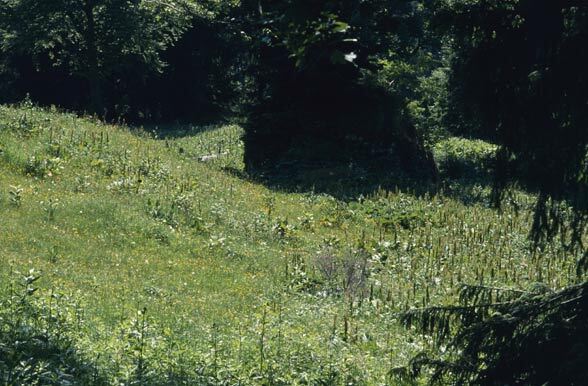 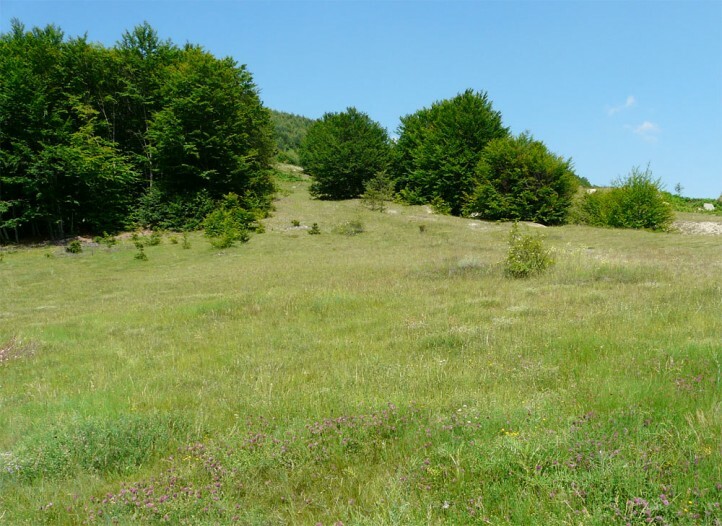 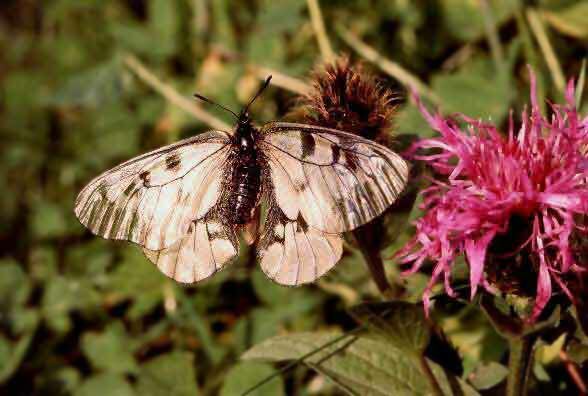 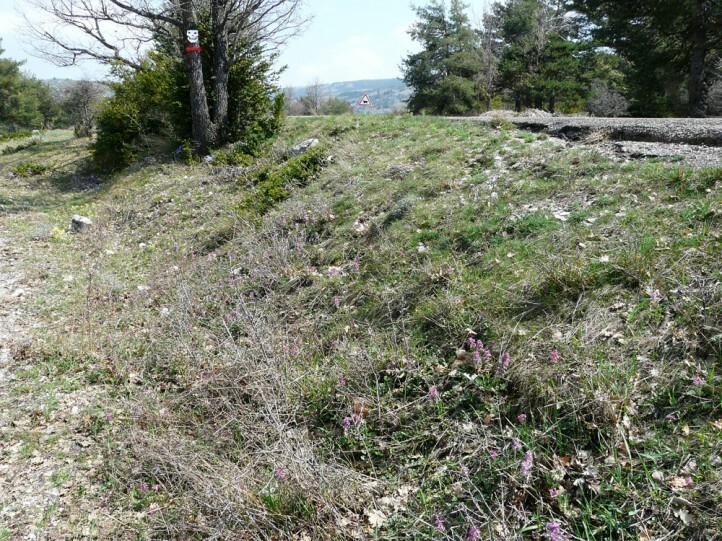 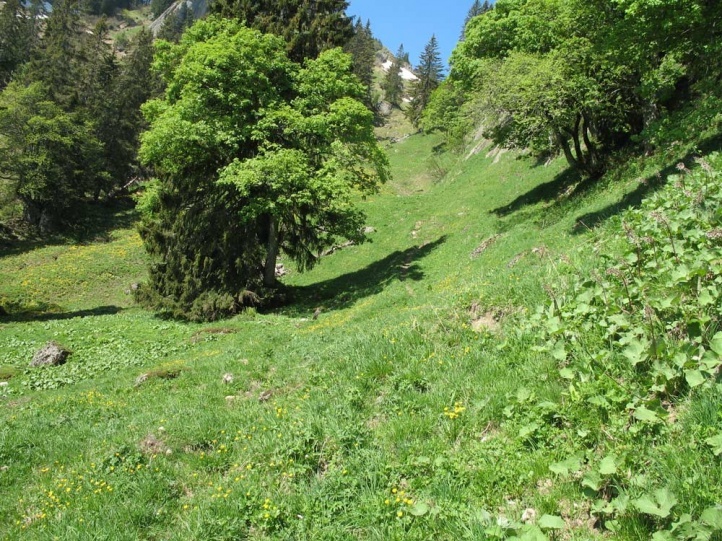 In the Alps the butterfly is locally threatened by forest/pasture separation, more intense management of pastures (elimination of rock piles and shrubs, fertilization, overgrazing) and human activities of all kinds. 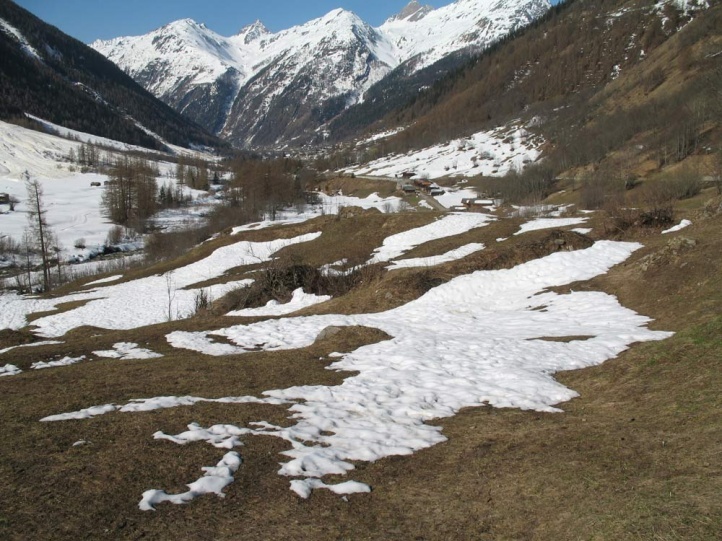 It still occurs more frequently for example in the Southwestern Alps (Alpes-Maritimes). 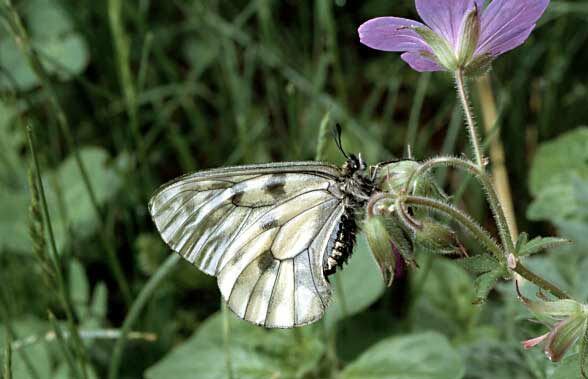 Parnassius mnemosyne is sometimes confused with the veined white Aporia crataegi.